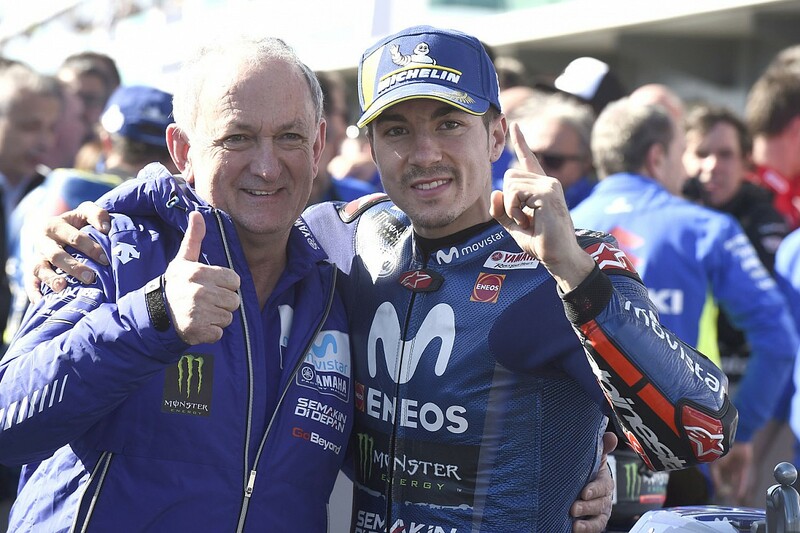 Maverick Vinales said he and Yamaha needed the victory he achieved at Phillip Island to give them a boost for 2019. 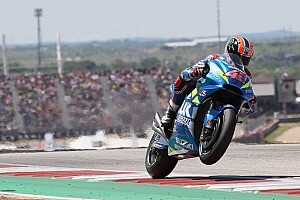 Vinales scored his fifth victory in MotoGP and put an end to a 25-race winless streak for Yamaha by winning the Australian Grand Prix. 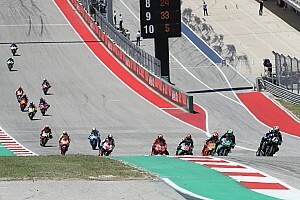 With only two races left of the 2018 season, Vinales said this victory will give Yamaha a boost that can help them improve for next year. "Honestly, the season has been difficult. I needed that win, we needed that win, Yamaha needed to start next year. "I said on Friday we need to be good and we need to be motivated to start next year really good. For sure that win is going to give us a lot of motivation. "[It is an important win] for me because I started to lose a little bit self confidence, and for Yamaha that I prove I can win races. "They need to try to provide a bike for my riding style especially in the middle of the corners to turn. "If we have that, we have the chance to fight. I think if we work well for 2019 we can be strong as we were in 2017. "We need to be working, the good thing is that I didn't lose the concentration I didn't lose the motivation, I am the same as I was last year and that is something really good. "Next year I will have more experience and I will be better because I know the worst point of being here racing and the better ones." Starting second, Vinales had a poor start and was only 10th early on, but then quickly fought his way back into the lead and pulled away. "Unbelievable day. First of all, I didn't expect to start so bad. It was incredible, when I see myself 10th, I just say 'man, you are stupid, what are you doing'. "I just try to keep my concentration, we work so good this morning on the electronics and I know if I feel good I could be fast. "Actually during all the weekend I was in the top three and I just felt good, I just say 'okay, now I have to push', I don't have to think about the tyre I just push and push. "When I saw myself in three second [lead] I say now I can relax a little bit, trying to save the tyre. 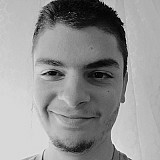 Anyway it was close because both Andreas [Iannone and Dovizioso] were coming really fast. "I didn't expect to be so fast in the beginning but finally I made myself trying to open enough gap, just in case I go down on the tyre I could finish the race then in front." 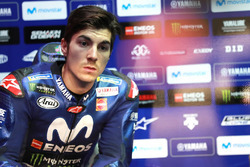 Vinales warned however that, despite this victory, Yamaha can't get complacent. "We have a great chassis but we have to improve the electronic and the engine. I really love the chassis because as today, I can ride really fast when I have the chassis for my riding style. "There is a lot to improve and I think Yamaha have a lot of effort."